There’s this little Mexican place in Kensington on Augusta called El Trompo that has become a top-rated establishment in my books. Every time I walk by I get lured in by the delicious aroma of salsa and spices. One summer day, a friend and I decided to take a well-deserved break from the desert heat to try out this quaint restaurant. 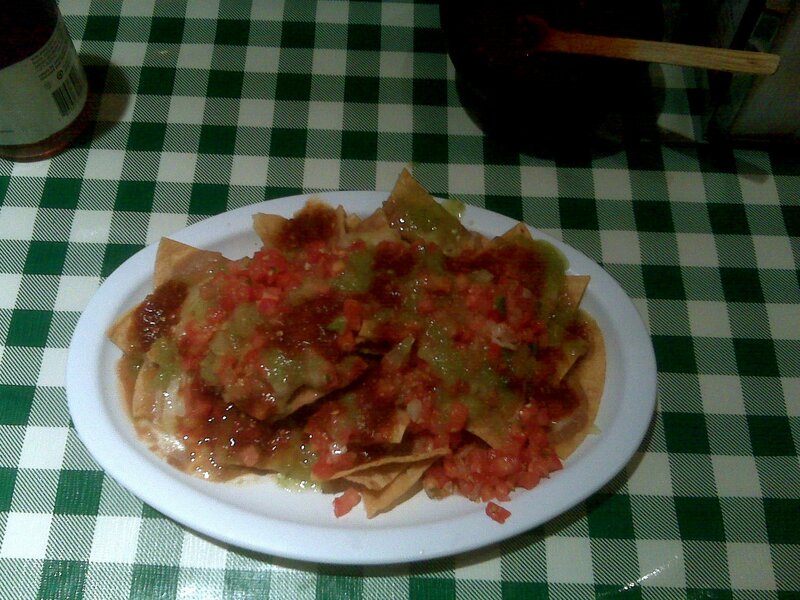 I ordered a simple plate of nachos for only $3.25, and what I got was a decent stack of corn chips covered in melted cheese with refried beans, diced tomatoes, and onions. Never have I been so addicted to one dish since late nights after work ordering thirteen dollar plates at touristy Hard Rock Cafe. I ventured back to El Trompo every time I was around the hood, only to realize the price of the nachos had risen to an unthinkable $3.75! But that’s cool, I still leave an even five for a (full) filling meal that gives me enough energy to walk two doors down for some coconut gelato. Please note: The above photo is not an accurate representation of the deliciousness that are these nachos.